The Lutron commitment to innovation leads to energy savings and eco-friendly technologies. Since the beginning, reducing energy consumption and enriching lives by providing comfortable, productive environments has been a top priority for Lutron. We need energy – and lots of it – to light our homes, schools, offices, hospitals, hotels, and restaurants. Lighting accounts for nearly 38% of the commercial electricity use by end consumption1. Because it consumes such a large portion of the country’s energy, lighting has emerged as a priority for energy efficiency efforts. Such efforts can reduce carbon emissions and save our environment. One of the best and simplest ways to save energy is to use dimmers and other devices that manage daylight and electrical light, generally referred to as light control. No one knows this better than Lutron, the company that invented the first solid-state dimmer and pioneered the lighting control industry. Lutron products range from dimmers and wireless occupancy sensors, to automated shade systems and sophisticated whole home and whole building light management systems. You’ll find them in the most architecturally and environmentally advanced buildings from Boston to Beijing. The Lutron legacy of conservation began in 1959 when Joel Spira invented the solid-state light dimmer while using his New York apartment as a makeshift laboratory. Two years later, Lutron, the company he founded, introduced the Capri rotary dimmer, which forever changed the way people look at light. Before this time, dimming lights was mostly a theatrical affair, and the equipment used was inefficient and unattractive, predominately bulky rheostats and autotransformers. From that first dimmer came decades of innovation. These innovations have advanced the state of technology and expanded the energy efficiency achievable with light controls. The science behind a typical dimmer is relatively simple and has not changed dramatically. An electronic dimmer component, called a triac, actually turns the light on and off very rapidly - 120 times per second. When the light is off, no energy is being used. The longer the triac is off, i.e. the more the lights are dimmed, the lower the light output, and the greater the energy savings. Indeed, the humble dimmer is truly an effective energy saving device. One of the most dramatic examples of the energy saving power of Lutron lighting controls can be found in The New York Times Building located in midtown Manhattan. The recently built 52-story structure uses a computer controlled, state of the art Lutron Quantum total light management system that automatically dims or switches all lighting. The New York Times Building uses light level “tuning” (setting target light levels for every workspace) and occupancy sensors to turn lights off when spaces are vacant. It also takes advantage of daylight harvesting that is automatically dimming lights when enough daylight is present. Daylight is controlled using automated window shades, with the system adjusting electrical light levels so the right amount of light is always present. 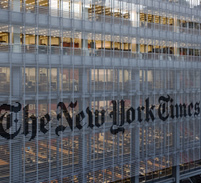 Thanks to the system, The New York Times Building is saving 70% of its lighting electricity, resulting in energy savings of $600,000 annually, or $30,000 per year on each of the 20 floors where the system is operational. The reduced use of energy prevents the equivalent of 3,300 tons of carbon emissions each year. But you don’t have to be in New York to see Lutron in action. Our dimmers and systems are everywhere. When you walk into a hotel or a high-end retail store, Lutron dimmers help create an ideal setting and save energy “without compromising ambiance,” notes Michael Jouaneh, a Lutron marketing manager. Furthermore, saving energy needn’t be expensive or involve major investments in infrastructure. 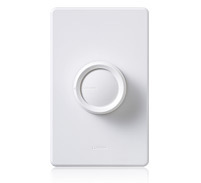 Lutron dimmers for home use start at less than US$8. More advanced systems – whole home and whole building systems – produce significant energy savings that allow the systems to pay for themselves in relatively brief periods of time. Much of the recent discussion around energy efficiency and lighting has focused on lighting sources that save electricity, like compact fluorescent lights (CFLs) and LEDs. Lutron provides various models of controls specifically designed for use with incandescent, halogen, fluorescent, LEDs, and dimmable CFLs. And they all save more energy when dimmed. The Lutron mission to save energy continues each day as we pioneer new technologies for homes and businesses to reduce electricity use and enrich the quality of life. In so doing, we are helping secure our energy future and preserve the environment. 1 Energy Information Administration. 2003 Commercial Buildings Energy Consumption Survey, released Sep 2003. 2 Estimated savings based on Lutron sales; 296kWh annual energy use for residential circuits (a); 2,492kWh annual energy use for commercial circuits (b); 20% savings from dimming (c); a U.S. average electricity rate of $0.11 per kWh(d). a. Computed from energy usage by room type (Source: Navigant. 2002. U.S. Lighting Market Characterization.) and surveys of installed room types (Lutron commissioned Ipsos surveys). b. Computed from 712W per circuit (Lutron project data.) and 3500 annual hours. 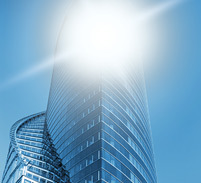 c. Lighting Efficiency Technology Report: Volume I. 1999. California Energy Commission.